As you would have read in my last post of this series, we all were very much excited about Infy training. After the formal induction week, started the real training, the technical training. As per our training schedule, we had three stages of training: Generic (basic), Intermediate & Stream (specialization). Soft skills training was also a part of the training and sessions were scheduled in between the regular technical training. In the starting of the training, we were given different colour tags, like the various houses in our schools. Each one of us was given a colour tag out of seven colours which were based on seven initial founders of the company. All the extracurricular activities were held between these seven teams. I was given red tag. So, we had our first technical module. Full of energy, I studied hard and scored a good grade. That first module made me realize that Infy has very high quality study material, though the trainers were good, not excellent. After our first exam in Infy, we were again given a nice break in the form of PSD (Personality Skills Development) classes. A fashion show was organized with the theme of business dressing etiquette. This was the time when the trainees were getting comfortable with each other. I made lots of new friends and we had great fun all the time. The fashion show gave us a chance to know even more people and work as a team. I came to know a lot of good people and we together presented a nice show. We stood second. After the fashion show, the generic training resumed which spanned for nearly a month. The attitude of people was changing. The training pressure was increasing. A few people left the company in this period. Few ran away after they got failed in a module test. I was not sure what went wrong as I was happy with the training. I was learning new things the way I always wanted to learn them. There was a very nice musical fountain in front of the training building (GEC-2, Global Education Center-2). It was put on for an hour in the evening and many of us used to sit there to get relaxed from the training pressure. It sometimes played Infosys Song (a very nice theme song for Infosys) and I used to enjoy it. Infosys Mysore has an awesome Employee Care Center with almost all the imaginable facilities including a very nice multiplex, where we had our induction sessions. Movies were showcased every weekend in that and was free for us. I loved to stand in the long queue for tickets with friends 2 hours before the ticket distribution began. In our class, a strange trend began. A family was formed. There was a “Papa”, a “Mummy”, a “Bua” (aunt), a “Chaachoo” (uncle), many kids, a “Dada” (grandpa), a “Dadi” (grandma) and padosi (neighbors). The Papa was actually a girl and the Mummy was actually a boy. This was the biggest funny family and we used to call each other by these names. We also had a “Musa Bhai”. She was kind of our training world don. Bua left us after the generic training and was shifted to another batch. However, she regularly visited us till the training end. So, with all the emotions, we completed a phase of training. We were now a huge group of people who had great fun everyday. Thank you so much Shilpi! Yes, Infy sessions are real fun as well as knowledgeable at the same time. Though one needs to work hard to go through them smoothly. I got selection in Infosys through On Campus Interview on 29 Feb 2012. 1. When will I get my offer letter(average time delay)? 2.Is there any relation between time of dispatching offer letters and training schedule(batches)? Unfortunately I could not figure out any definite rule to predict anything about dispatch of offer letter or training schedule. My friend got a phone call from yesterday from Infosys and asked various matters like DoB,Address,hobbies,inspiring person etc. Is it a usual procedure? Will Infosys make phone calls to all selected students? Had you any such experience ? Amal, I am not aware of such phone calls. Make sure it was a call from Infosys only and not a fake call. However, Infy may have such process and it cannot be denied that such call may be authentic. Hi Abhineet, i am BCA final year student and got selected in Infosys on 25th Feb, 2012 and i received username and password from Infosys. In the meanwhile some of my friends received call from Infosys like a short interview for verification and i haven’t received the call. can you tell me is it necessary that all the students will receive a call.??? and after selection HR told us that some students will receive a call from Infosys for short interview. So, please help me in this and moreover some of the students didn’t receive the username and password but they received the call and viceversa…..
Congratulations for your selection in Infy. Regarding your query, I am not aware of any such call. But, may be for some verification they would be calling. Dont worry about it. Did you get a joining date? No, still i didn’t get my joining date but i received a call for verification, now my graduation is completed and looking for offer letter. Can you tell me how much time will it take to send me the offer letter?? This is Harman again, i have received a letter of Intent from Infosys which includes my Job Level and Salary package on May 9. And i have also heard from someone that their joining will be on August 15, 2012 and that student is of BTech, but i’m of BCA. So do i think that my joining will also be in August.???? New batches keep joining every week, not only on August 15. So, untill you get your offer letter, there is no way you can be sure of your joining date. My DOJ is 13th august 2012…..I am a BCA 2012 passout student. I m 2011 passout but selected by freasher selection 2012 in infosys. I got ltr of intent at 9th may 2012. what could be the tentative date of joining. can they cancel my selection in any case. I was selected by reference. As I have said repeatedly in many replies, I have no idea of how joining dates are decided for new joinees. You can connect with those who got the joining dates for this year so that you can get a fair estimate about that. Regarding the selection by reference, can you please elaborate your selection process? I m 2011 passout. i hv a reference in infosys. they called me for written test. i was the only candidate who took test. after one month they call me for telephonic interview then they ask for all document. i gave him all documents. after 20 days i got my letter of intent. They selected me as freasher recuritment 2012. I hv doubt as i m 2011 passout how they can select me as freasher recuritment 2012.
i just want to know as i got letter of intent on 9th may2012 my date of joining could be 6 to 10 month onwards. Can you please help out on job role of an operational executive level 2?As i have been recruited for that. 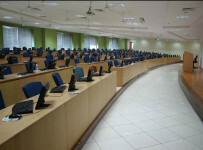 Infosys recruits B.Tech and MCA students as Systems Engineer at Job Level 3. Operations Executive at Level 2 may be for Infosys BPO or CCD (An internal Unit of Infosys Ltd). 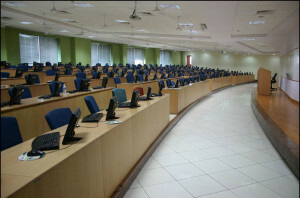 I’m Arun Sharma S, BCA student frm Kerala , got selected through campus recruitment held on 12 Feb 2012. Now i heard a news that Infosys extends the joining time of recruits to 2013. I just want to know how far this information is True regarding me(i.e BCA selected as operations excecutive level 2). Will this affect the entire 2012 batch??? Plz reply me..
What are the subjects to be studied for getting good marks at mysore training session. i am BCA final year student and got selected in Infosys on jan, 2012 and i received username and password from Infosys. i have received a letter of Intent from Infosys which includes my Job Level and Salary package .i have a doubt ??? whether passport is compulsory to join infy ????????? wen will v get our doj ????????? I am a 2012 B.tech passout.. I did B.tech in Biotechnology and Biochemical engg.. I have no experience in any of the software languages. Can you just tell me the basic languages that are required for the job in infosys, so that i might go for some training prior to joining in infosys. My DOJ is Aug 27th. Please do reply as soon as possible. Hi.. Sorry got late in replying to you. Hope you would not be finding it very difficult if you have joined Infosys by now.. All The Best. My joining date is 13th Aug. Do they verify all the documents(marksheets etc) there at infosys upon arrival. Can they deny joining & send you back in any case? Have you witnessed any such case? Hey manoj did you get your offer letter?My DOJ is 13th august 2012 at Bhubneswar..I am a BCA 2012 passout student. sir my doj is oct 15th 2012 at mysore . do i want to carry all my original marksheets and other proofs on that day. Sir my doj is on October 15th 2012 at Mysore. Still i didnt get accommodation details. When shall i expect? They mentioned in the offer letter that they will send those details before one month of doj. waiting for ur reply sir. You should receive the information soon. Check if people sharing joining date with you have got it. This is vineet from AP. I just have two questions for you. One, what is the bond amount one has to pay if he decides to leave training. Second, if anyone fails deliberately in the Training period, does he have to pay the bond amount?? If yes, then how much. This is a very important clarification for me brother. Please understand. Coz, I am preparing for gate 13. If I get call from PSUs(those recruiting through GATE-13), I will be happy to leave infosys. Please reply ASAP. DOJ is 26, Nov 2012. Bond money depends on many factors and only HR can tell you that when you actually try to leave company while still under probation. If you are joining as an employee, you will get salary during training. For accommodation, food etc., you will have to pay. can Infosys allows a fresher for training which is not selected in Infosys campus ? I completed my Engineering in 2012 batch and do not get any opportunity to get the campus ,can you please suggest that where you are give the training for such a student . Can you please elaborate a bit as I did not get your question. Do you want to know that whether a person can attend Infosys Training without getting selected in Infosys? If this is what you intended to ask, then unfortunately the answer is NO. I am waiting for my MBA 4 sem results. Some 7 days before infosys came to our campus and I cleared the technical round along with 4 other students.Next day all 5 of us appeared for the HR round and then they told our placement officer that all 5 have been selected for Associate consultant post. Yesterday 3 of us received username password. When shall i expect an offer letter if we are supposed to join hyderabad campus for training in may 2013. Sorry no idea about consultant role. i am a GET and my joining date is march 18,2013.i just wanted to know whether a private vehicle is necessary at infosys mysore,training centre..
No. I am not sure if you can keep one as a trainee. i hv been placed in infosys ,to my bad luck my joing date is on august 13…i am in dilema wether to wait some more time and i am equally worried if i join infy hw the training period gona be?? Why is it bad luck? No need to worry about training. It will be one of the best periods of your life. It is not advisable to postpone training, specially in the current market scenario. i am a fresher,does infosys recruit through reference from it employee?? if so,they directly call for interview or conduct wrtn test and then interview??? I’m pursuing B.E and I have been placed in Infosys on 23rd oct 2013. But i am really worried about the call letter for training some say that it may even take 2 yrs to get it.Even my seniors who got recruited 2 yrs back got the letter only by last month. Is it so?? How about the scenario now?? If the answer is yes for the first one then I should look for other companies.Please do answer me..
At my time, I got it in 3 months. I am not sure of what is going on at present. It depends on the market scenario. Systems Engineer is just a designation. It is another name given to software developer/engineer. Yes, every B.Tech fresher who joins as a software developer, joins as a system engineer only. Are you sure that it was a call from Infosys only. Anyways, in case of doubt, contact the Infosys officials. I had my training a long time ago. Also, I have already left Infosys. So, I do not have any idea of current salary status as well as training duration. At my time. accommodation charges were deducted from our salaries and for food we had to pay separately. hi abhineet…. iam selected in infosys and training for mysore in september. Is really tough in training period? and how to avoid that? No. Just be confident and have fun. It is going to be the best time of your life. All The Best. at the time of registration I hav choosen BE instead of BTech assuming that both are same and at that time I didn’t see that option actually. I got selected in campus placements. Do I hav to inform them. the application form what I hav declared has those details only. if I hav to, then whom should I inform? For me, bond duration was 1 year after training (That was in 2010). Not sure about the current status. What will be the posting for bca students? Training will be same for bca and be? Hi ,i got selected as a systems engineer in infy , few days back i heard that exams conducted after training in infy are too difficult to clear … is it so??? if yes den plz assist me with some topics so that i can start my preparation well in advance . I have been placed as a system engineer at infosys bpo, will the role be same as at infosys technologies ? i also do not know the responsibilities at infosys bpo as a system engineer. would you pls suggest the same and also tell me whether to join the same or no ! I also got placed for same position in bpo one month back, according to me u might have well experience now to answer your question can you explain me what experience of being system engineer in Ibpo whats salary hike strategies are there what is future there? Actually i am selected as a executive operation. What about the future as a executive operation. What is the training period and bond details.. I got placed in Infosys BPO in Last March and still I did not bet any offer letter. Do you have any idea when would they gonna send it.